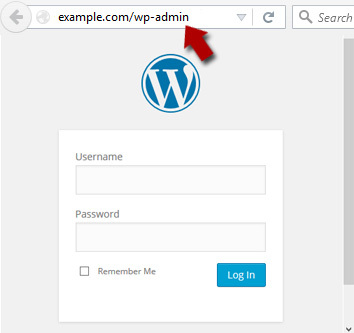 Have you forgotten the WordPress login URL? Learn how to find the WordPress Admin URL of your website or blog. This web address is used for login to your dashboard aka admin panel, the place where you write posts. WordPress is undoubtedly the best blogging platform that comes for free! About a decade ago, when I was new to WordPress, many a times I also wondered how would I login to my WordPress admin panel? Blogging newbies often forget their WordPress login URL. For such people, the default themes of WordPress come with a link to the WordPress admin URL. But most of the time, these links are removed (I would also recommend to remove the default login link from the front end of your website). Those who are in the habit of clicking the admin login link, will not remember how to go to the admin panel after the link is removed. And they will ask how to find my WordPress Login URL? This article answers this very simple question. Although the question is simple, but it is important for the newbies! Bonus TIP: You can and you should properly redirect www and non-www URLs. Select one of these forms of URL and then redirect the other one to the selected one. OK, I have told you the location of the login page, but what if you still forget it! One of the ways to get around this problem is that you bookmark your admin login URL. In Firefox and Google Chrome just press Ctrl + D shortcut to bookmark the current page. Although I do not recommend it but another option to easily login to your WordPress admin panel is to add a Meta widget in your sidebar. The meta widget is available under Appearance > Widgets in your WordPress dashboard. All you need to do is to drag the widget in the sidebar. This widget will show a few links —including a link for login to admin panel. Drag a widget into the WordPress theme’s sidebar. Also, if you want, you cal add the Login Link in your menu bar. For managing menu items, go to Appearance > Menus in your WordPress dashboard. If you are bored of seeing the same default login page in WordPress, you can make it look much better! Also if you’ve made a website or a blog for a client, you might want to customize the login page to impress your client even further! You can change the login page background, logo image and remove back link among several other things. I will soon write a tutorial in this topic as well. I hope now you will be able to easily access your WordPress login URL. In case you have any question related to this topic, please feel free to ask me through comments section. I will try my best to assist you. Thank you for using TechWelkin! You’re welcome Srinivasan. Looking forward to hear more from you on TechWelkin! In order to open InPage files, you should have InPage software installed on your laptop. You can buy this software from their website.